Enjoy the free concert series during the summer months, when audiences spread out on the hillside to hear musical groups perform in German Park. 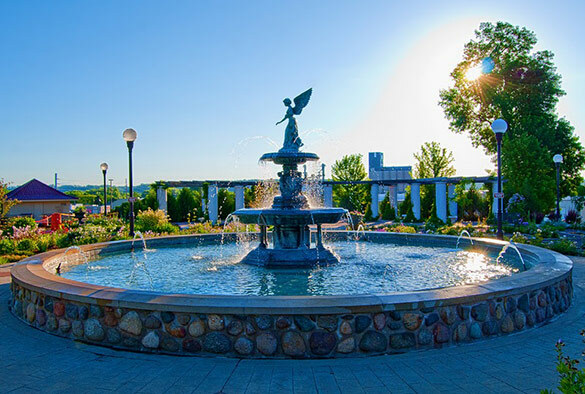 Or enjoy a quiet moment beside the fountain in the formal gardens while the kids play on the nearby playground and climb on the Herbie the Hedgehog statue. Located just a short walk from the center of downtown, at German Street between 2nd and 3rd North Streets.